Lightweight and portable, Versa-Rack Drying and Storage Racks can be used anywhere. Featuring sturdy, all-metal construction and powder-coated, rust-resistant shelves, they're ideal for classrooms, studios, print shops, and homes — or anywhere space is limited. Both the 8-shelf model and 13-shelf Versa-Rack Drying and Storage Rack hold a variety of rigid or semi-rigid items, including construction paper, posterboard, heavy felt, screen print frames, stretched canvases, boards, and other objects measuring up to 12" × 18" (30 cm × 35 cm) or larger, with a 3" clearance — perfect for air-drying or storage. 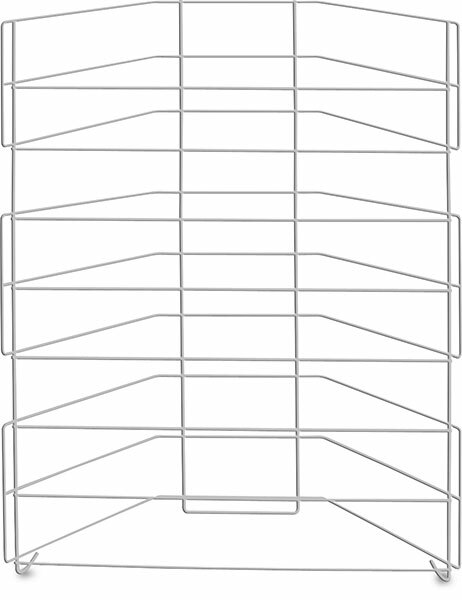 Portable Rack with 13 Shelves — This rack features 13 shelves and can be positioned horizontally or vertically. Convenient casters permit easy tilt-and-wheel mobility for effortless positioning. It measures 21½"W × 10"D × 43"H (55 cm × 25 cm × 109 cm). 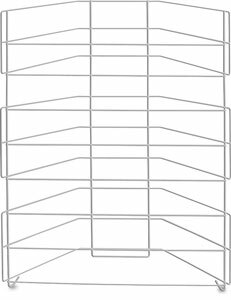 Portable Rack with 8 Shelves — This rack features eight shelves and can be positioned horizontally or vertically on a tabletop or other surface. It measures 21"W × 9"D × 26"H (53 cm × 23 cm × 66 cm). ® AWT is a registered trademark.™ Versa-Rack is a trademark.